Wine Auction Spy | Reviewing, critiquing, and advising on the world of wine auctions. So for the past several weeks, I’ve been on vacation in Central Asia and then I’ve moved to Southern Africa with a lovely 33 hours of transit in between. Now I’m tanned, rested, and happy, and despite the sadly frequently power outages here in Harare, I’m ready to blog with a passion on wine auctions around the globe. So what’s the plan for the next few weeks? 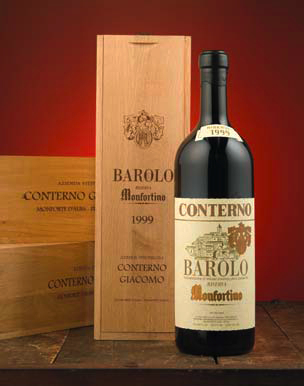 Start a basic primer on bidding for wines to drink at auction. I’m going to get cracking on all of this post haste. In the meantime, please do send me any comments, questions, concerns, World Cup picks, or whatever to josh [at] wineauctionspy.com. As this blog and this site grow, I will continue to depend of the insight and suggestions of my readers, so please don’t be shy, drop me a line. Watch this space and talk to you all soon. Talk to you all then. Lot 62, Chateau Beychevelle 2005 (12 btls. ), Estimate HK$7,000 — Not sold. Second suggestion in a row that the auctioneer couldn’t entice any bidder, or enough bidders, to show interest in. Seeing this makes me think that Hong Kong wine auctions may be all about the big names and not so much about value shopping. In which case, placing a low bid online prior to the auction to see if you can sneak away with a cheap lot or two may be a worthwhile strategy for bargain hunters. Lot 155, Chateau de Fesles Bonnezeaux La Chapelle 1990 (4 btls. ), Estimate HK$3,100 — Sold for HK$2,618 (US$336). This Loire dessert wine sold for significantly below its maximum estimate and at a substantial discount to what the one retailer that carries the wine lists it for. Of course, you could’ve gotten it much cheaper in 2003 from Sotheby’s, but that’s seven years of cellaring that you didn’t have to worry about at least. Lot 1, Chateau Lafite Rothschild 2000 (12 btls. ), Estimate HK$195,000 — Sold for HK$166,600 (US$21,392). A lot of money yes, but 15% below its maximum estimate and cheaper than it can be bought almost anywhere in the world. Lots 2-3, Chateau Lafite Rothschild 1982 (12 btls. per lot), Per Lot Estimate HK$312,000 — Sold for HK$267,750 and HK$309,400 (US$34,381 and US$39,729 respectively). I’m not sure what accounts for the US$5,000 difference in price between these two lots. The online version of the auction catalog doesn’t provide any description of the lots in question beyond the year, chateau, and number of bottles, so I can only wonder what was said in the printed catalog about fill levels, label condition, possible seepage, and the like. The answer may be more psychological than that, though. Bidders saw Lot no. 2 go for a good deal less than its maximum estimate, they knew they wanted this classic Lafite, and they bid more than intended trying to get it. Prosaic, I know. Lot 52, Chateau Lafite Rothschild 2000 (1 btl. ), Estimate HK$35,900 — Sold for HK$35,700 (US$4,587). Great producer, great vintage, still a ton of money for a bottle of wine, especially a singleton. I hope some rich person bought this to drink. 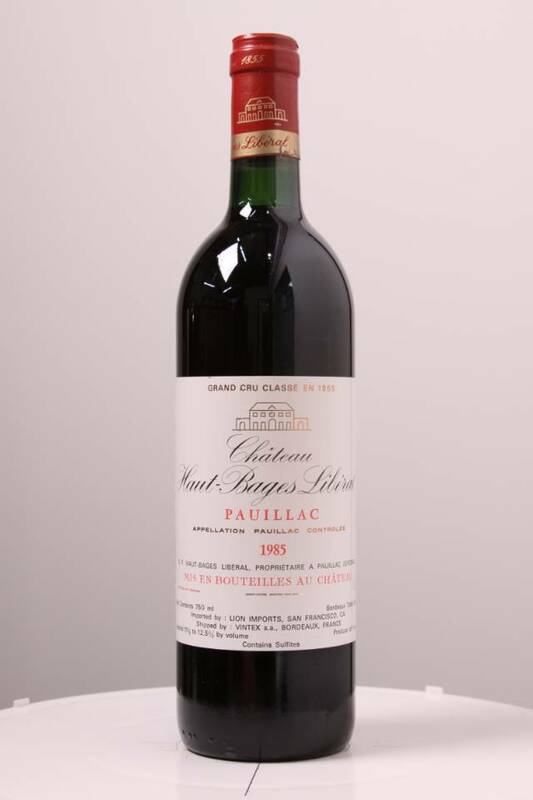 Still, the winning bidder paid almost US$300 less for this bottle of Lafite than it costs in Hong Kong, which means two things to me: he/she got a good deal in a relative sense and Lafite is very, very expensive no matter how you buy it. Lot 215, Romanee Conti 1996 (1 Methuselah), Estimate HK$585,000 — Not sold. The outliers, both cheap and expensive, did not sell through very well in this auction. Makes me wonder if the Bonhams’s staff is properly valuing their lots. Lot 217, Chateau Lafite Rothschild 1982 (12 btls. ), Estimate HK$312,000 — Sold for HK$380,800 (US$48,899). Well. I guess the bidders who didn’t get lots nos. 2 and 3 went a little nuts. When two different Masters of Wine express reservations about the authenticity of wine being sold at auction, you have to sit up and take notice. In lead-up to Vinexpo in HK I’m increasingly worried about the way fakes may be being offloaded in wine auctions in HK. Buyers, mega beware! This wasn’t cryptic as regards Robinson’s fears — that there may be Hong Kong wine auctions selling fakes — but was vague on some key points. Why was she worried? How did she find out about this issue? Why did she use the word “offloaded;” could these alleged fakes not be sold elsewhere? And perhaps most importantly, which particular wines was she talking about? Granted that Twitter isn’t exactly the place for long analyses, but her one follow-up didn’t expand upon her fears either. Now we know the allegedly offending auction house: Acker Merrall & Condit. And we also now know the allegedly offending auction: Acker’s mammoth wine auction (1,865 lots!) in Hong Kong scheduled for 28-29 May 2010, and which is imposingly titled “The Imperial Cellar”. These 140 characters also tell us how Lee found out that there may be fake wine being auctioned, through e-mails. From whom? That we don’t know. Notice how both Robinson and Lee parse their words very carefully in these posts. Neither of them comes out and accuses anyone of anything, just that they are “increasingly worried” and are finding it very “difficult to assess how much is real” and how much is rumor. Of course, libel law may be part of the reason for the qualification of their comments (and I should make clear that I have no specific evidence of wrongdoing either, I’m just presenting the scuttlebutt and my thoughts on it). Okay, now it is starting to become clear. Acker Merrall, an auction house based in New York, schedules a wine auction in Hong Kong, an increasingly important wine market, that Sommelier India calls “the largest wine auction ever conducted in Asia and the third largest in the world.” This huge auction features a exceptional selection of rare Bordeaux, the cream of collectible wines, including 450 bottles that are pre-1961, 181 bottles from the 1961 vintage, around 400 bottles from the 1982 vintage, and 3,000 bottles from the 2000 vintage. Needless to say, the 1961, 1982, and 2000 vintages are considered to be three of the four best, most collectible vintages of Bordeaux in the last 50 years (with the 2005 vintage being the fourth). That’s a lot of very, very good and very, very expensive wine. Oh, and there are 1,470 bottles of Romanée-Conti being auctioned in this sale too. But this mother-lode of wine is only that good and that expensive if it is real. Acker Merrall’s competitors know that, of course. Could any of them be the source of the mysterious e-mails claiming Acker is passing off fakes? I have no evidence of that one way or the other, but I’m not connected in the industry and so the evidence may exist unbeknownst to me. If so, these e-mails could just be the manifestation of jealousy that Acker Merrall is pulling off such a big auction in such an up-and-coming wine center. But allegations of counterfeits being sold at the “Imperial Cellar” may have the ring of truth because Acker Merrall has a history of auctioning, or almost auctioning, fake wine. In an April 2008 wine auction by Acker Merrall in New York, 107 bottles of rare Burgundy slated to be sold proved to be fraudulent and were withdrawn from bidding at the last moment. Further, a lawsuit filed last year asserts that Acker Merrall sold numerous lots of fake Burgundy and Bordeaux wines in 2005 and 2006. I certainly don’t know which wine in Acker Merrall’s “Imperial Cellar” auction is real and which is fake. It could be that everything is 100% authentic; I hope so. But it behooves potential bidders to take Robinson’s advice and caveat emptor mega.